Mariapolis, MB grain elevator, July 2005. Contributed by Pat Scrimgeour. 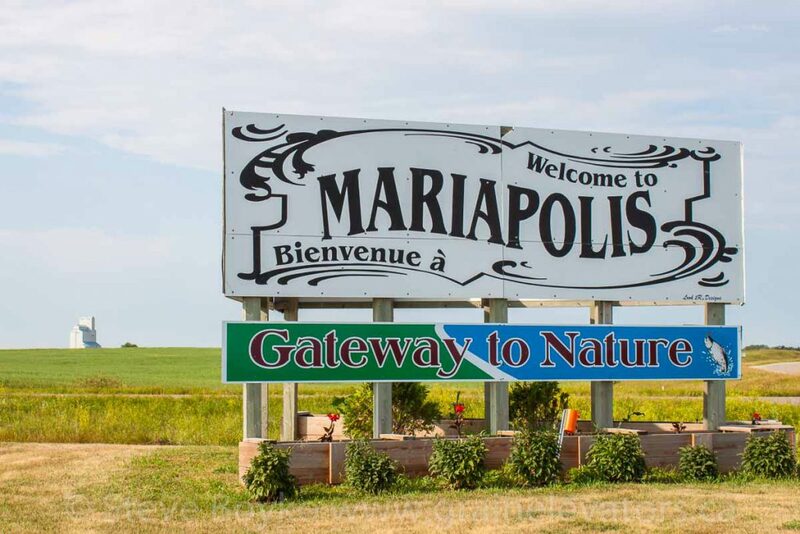 Mariapolis, Manitoba has a single grain elevator, located just outside of town. 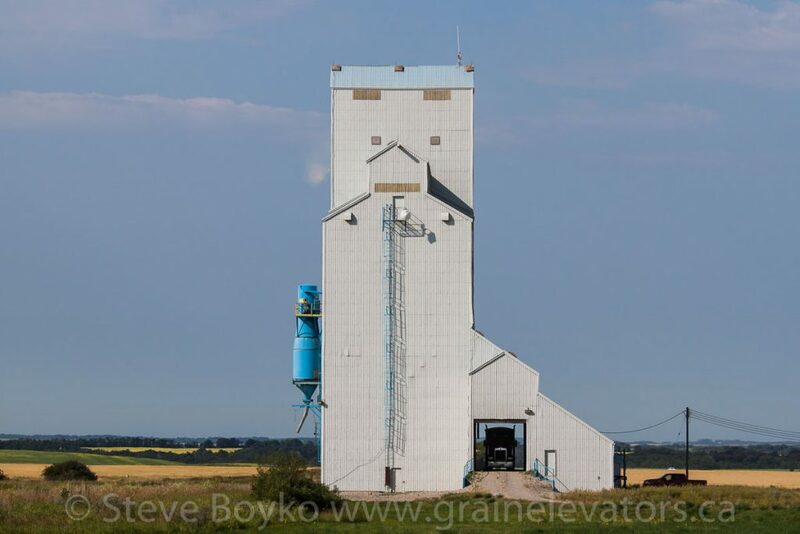 This elevator has a capacity of 3,780 tonnes and is owned by the Canada Malting Company Ltd, who acquired it in August 2006. 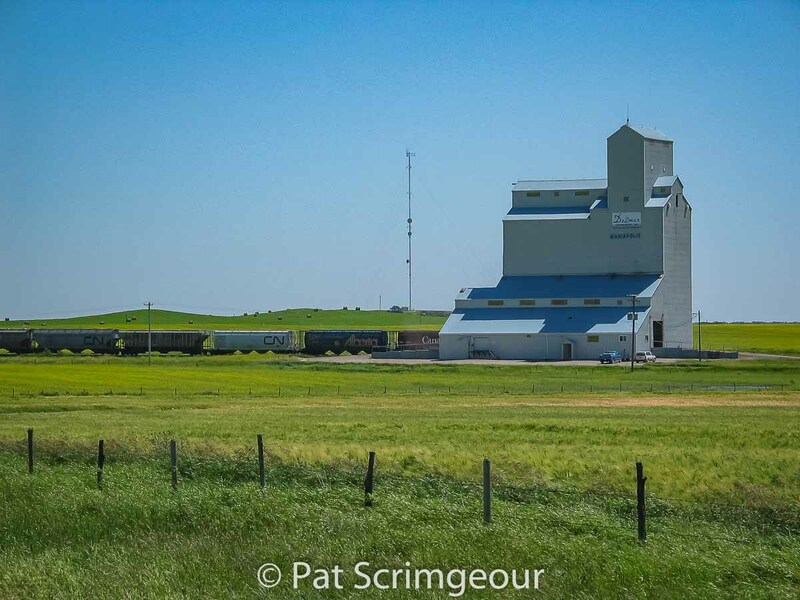 It was built by the United Grain Growers (UGG) and opened in 1986. It was owned by Delmar Commodities for a period of time before Canada Malting took it over. Truck in Maripolis grain elevator, August 2014. Contributed by Steve Boyko. 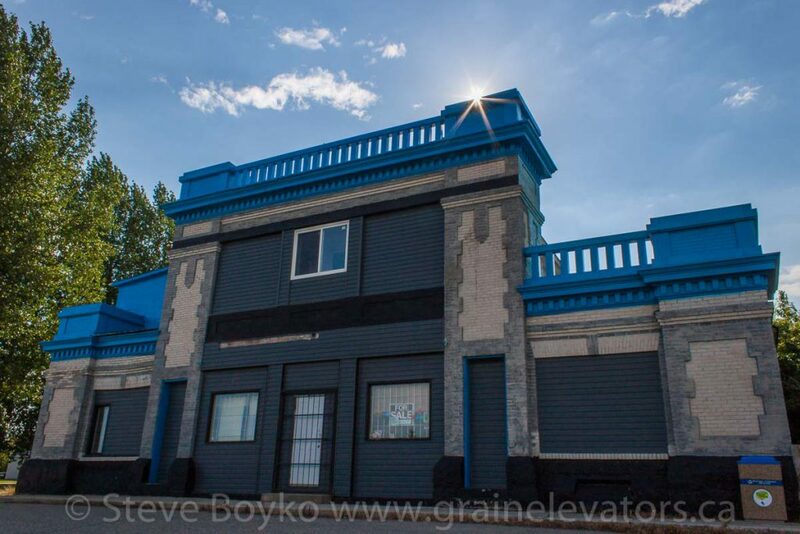 The elevator used to be served by CN (on the CN Carman subdivision) and later the Southern Manitoba Railway, but it has not been served by rail since 2007 and the tracks are gone. The town of Mariapolis has a lovely church and this great structure, formerly a general store. Mariapolis general store, August 2014. Contributed by Steve Boyko. This elevator is very similar to the Norman elevator.